Standardised data measurement can help maximise yields and reduce food waste, field trials have revealed. Conducted in East Anglia during the 2017 growing season, the trials have shown how the use of smart technology, combined with training and greater supply chain collaboration, can help maximise crop yields. The work also highlighted how early intervention can help prevent produce falling outside of specifications – one of the most significant causes of crop rejection in primary production. 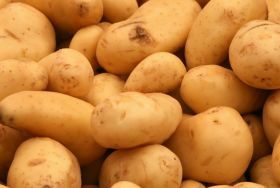 Fourteen potato growers from Asda’s IPL fresh produce business were involved in the trials alongside sustainability expert Wrap. The project followed the potatoes from sowing in 2017 through to harvest and storage in 2018, and saw participating farms grow a combination of salad and fresh potato crops using Belana, Nectar and Maris Piper varieties, which were sold in Asda stores. Growers were also instructed in the use of the Potato Yield Model, developed by NIAB, to give key yield data as early as possible. This smart technology allows farmers to forecast the total and graded potato yields ahead of harvest. The model uses real time visual imagery and historical data from commercial crops to provide a forecast up to ten weeks before harvest. The early insight helped inform decisions around supply and demand for both the farmer and supply chain, and guide decisions around key actions such as when to stop the crop growing. Wrap’s study also found significant inconsistencies in the yields and performances of the participating growers, all of whom operate in East Anglia. The disparity was particularly noticeable between the highest and the lowest total crop yields. For one variety, Belana, the best-performing crop generated nearly £10,000 more revenue per hectare than the lowest. In Nectar, meanwhile, where differences were less pronounced, variation was still £2,000 per hectare in some instances. While farm-specific factors such as weather and soil type will explain some differences, Wrap believes this variation points to widescale differences in grower productivity across the UK. The organisation said training and technology interventions could help improve crop yields further afield, and maximise the volume of produce meeting client specifications for many more growers. Wrap found considerable willingness by participants to incorporate the measuring regimes tested into their future operations, with feedback showing more than 80 per cent considered making changes to the way they operate as a result of their experience.